I love baking for my family, but not everyone is always able to enjoy the same foods. Instead of looking at food intolerances, sensitivities, and allergies as obstacles, I see them as fun challenges! What goodies can I whip up in the kitchen for my loved ones that are easy to make, packed with good-for-you ingredients, and likely to disappear in mere minutes? 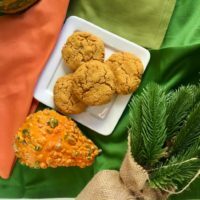 Baking up a batch of gluten-free, high-fiber, and low-sugar biscuits made with real, freshly whipped sweet potatoes became the obvious answer this year. Not only were these a total hit at the dinner table, the few that did survive the evening went on to steal the show at brunch the next morning. These mouthwatering biscuits are my nutrient-packed twist on a classic holiday favorite; the creamy sweet potatoes offer a hefty dose of vitamin A, and a good amount of potassium and vitamin C. The ground oat flour significantly ups the fiber ante and no need to buy a bag – it’s so easy to make by just tossing dry oats in a food processor or high-powered blender! What comes out of the oven is warm, tender, and completely crave-able; no gluten-free hockey pucks here! Serve these fresh, golden brown babies with a drizzle of honey, butter, fresh fruit or enjoy just as is fresh out of the oven. In the off chance leftovers remain, seal them in a bag, and enjoy them heated up the next day in the toaster oven or oven! 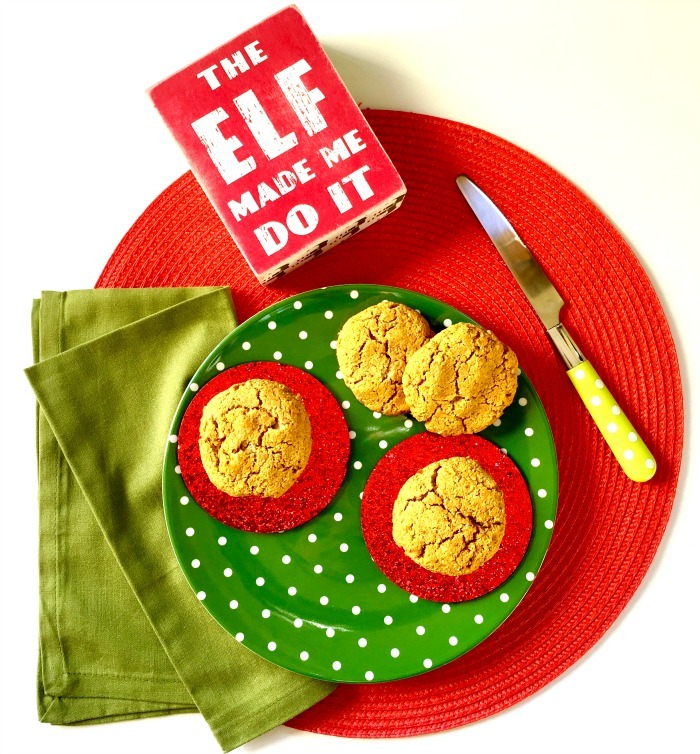 Combine oat flour with guar gum then add brown sugar, baking powder, salt, in a cinnamon in a mixing bowl. Stir in cubes of cold butter and mix using your hands until coarse meal forms. Stir in sweet potato and mix again using your hands. Pour in milk and mix until a sticky dough forms. Form into 12 balls and place onto baking sheet about 2” apart, gently flattening with your fingers, and bake for 14 minutes or until edges appear golden brown. Remove from oven and brush each with some honey, if desired. Let cool and serve with honey, butter, fresh fruit, or gravy. *If it don’t have buttermilk in, these biscuits will still taste great but you’ll need to bake 5-7 minutes longer.